Charley and Laura thank you so kindly for being ever so flexible and welcoming us. Your place is divine. Fabulous location too. The kitchen is fully equipped. Very close to the town. Marvellous location .Well equipped with everything you need . Friendly ,helpful host . Characterful appartment with individual personal touches in a historic building. Roman Baths , the Abbey , the Pump Rooms - all so close ! The location was brilliant. Right in the middle of Bath, restaurants and cafes all around us. The property was very comfortable and cosy. The hosts had left us croissants and milk, and there were all the essentials ready for our use. Would definitely stay again. Friendly informative host. Comfy bed. Great location. Great welcome, right in the middle of Bath. Host told us some places to go for food that were excellent. The location is just incredibly good. In the center, just around the corner from the Roman Bath. The place itself was ok, a bit worn, but very cosy and old style. Beds very comfortable. My 4 criteria: Location, Cleanliness, Breakfast, Service are very hard to judge as it was an apartment we selected this time. Location: 10, Cleanliness: 7 (a bit smelly given the age of the rooms), breakfast: cannot be judged given the apartment style. Service: Very friendly landlord, that I had to call when I was coming, which put some stress on me. I would prefer to just go and then check in. But preparing the arrival time in advance is the same for all apartment like overnight stays, so no complaint there. One just needs to know. 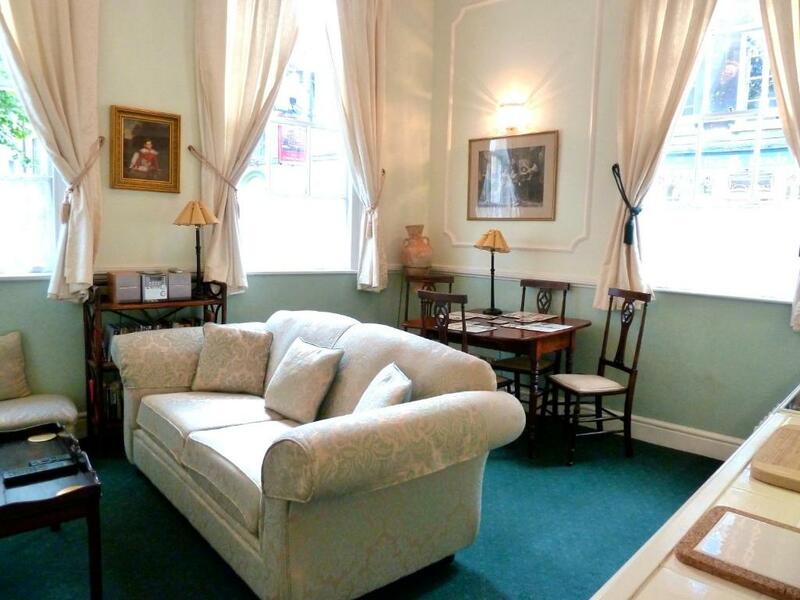 Proximity to everything - historic Bath Abbey, Roman Baths, Circus, Royal Crescent, transport facilities, restaurants etc Tasteful decor, clean and comfortable. Charley, the owner, meet us on arrival. The gave us some useful tips re: restaurants and the like, and had even brought fresh croissants for our breakfast. The contact prior to our stay was excellent, Charley met us outside and was very helpful and knowledgeable about the area, and helped us with parking. It was hugely beneficial to be given a permit for the weekend as parking would have been very expensive otherwise. The apartment was exactly as I expected, so the photographs are accurate. It's old-fashioned which is very in-keeping with the area. 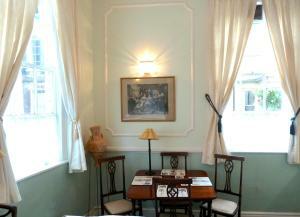 You couldn't want for a better location in Bath - right by the Roman Baths and the Abbey. However, if you are a light sleeper I recommend bringing earplugs and you will then have a lovely night's sleep! Lock in a great price for Crystal Palace Apartment – rated 8.7 by recent guests! 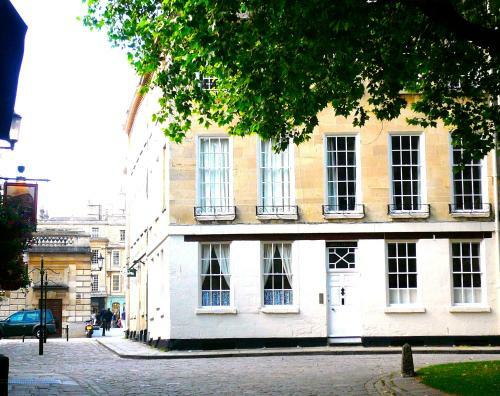 Seconds away from the Roman Baths, the Crystal Palace Apartment is located in a Georgian building in the heart of Bath city center. With free WiFi, this characterful apartment sleeps 2 and faces the ancient square of Abbey Green. 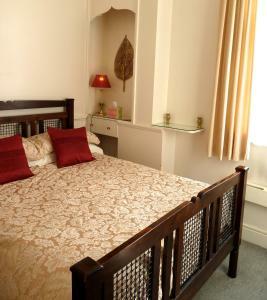 The apartment includes a double bedroom and a bathroom with bath and shower. 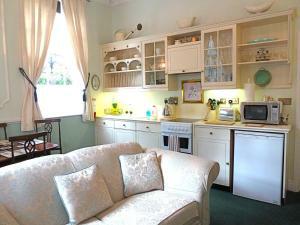 There is an open-plan lounge with TV and DVD player, a dining area and kitchen with oven, microwave and fridge. 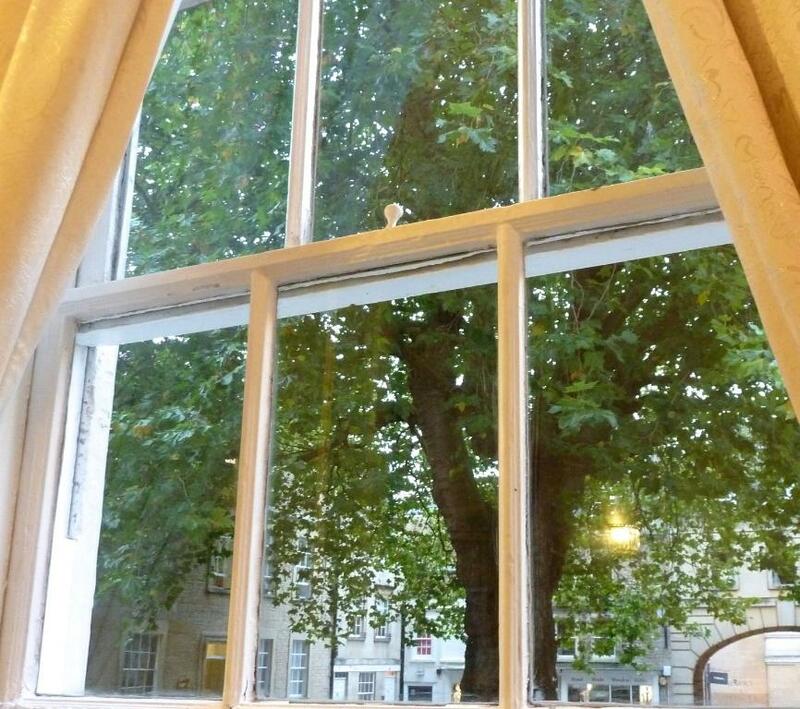 Crystal Palace Apartment is within a short walk of numerous cafés, restaurants and shops, and just 1 minute from Bath Abbey. Entertainment venues including the Theater Royal, Komedia and The Forum are all within 5 minutes. The city is less than 13 miles from the center of Bristol and the Mendip Hills Area of Outstanding Natural Beauty. 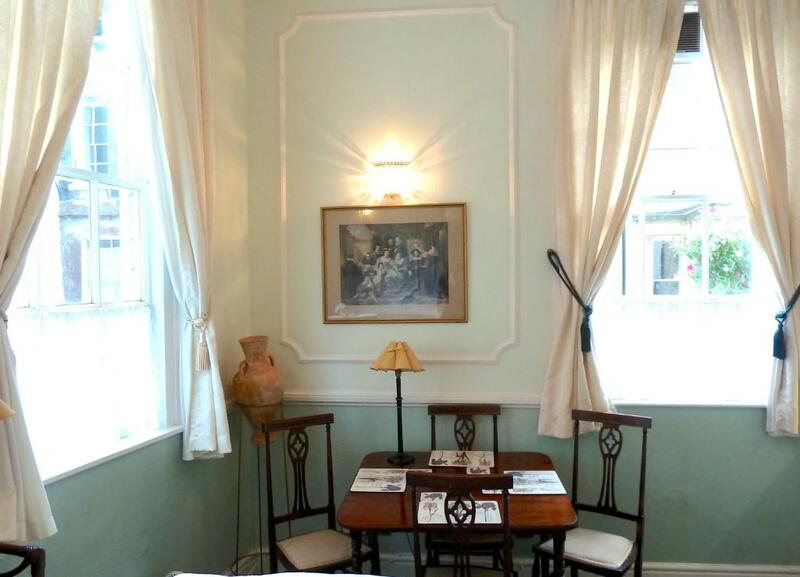 뀐 Located in the real heart of Bath, this property has an excellent location score of 9.8! When would you like to stay at Crystal Palace Apartment? This apartment has a double bedroom, bathroom with bath and shower, and an open-plan lounge, kitchen and dining area. This is a very pretty, but very compact one bedroom apartment on the ground floor of Abbey House, with tall ceilings & tall windows with views to the Abbey Green and the Crystal Palace Pub, an ancient friendly pub nearby. You need to love old things! Abbey Green is a popular photo spot, being ancient and photogenic, and situated right next to the Roman Baths. People from all over the globe will be passing by, taking photos, and enjoying the atmosphere and the pubs and tea houses nearby. House Rules Crystal Palace Apartment takes special requests – add in the next step! Crystal Palace Apartment accepts these cards and reserves the right to temporarily hold an amount prior to arrival. A prepayment deposit via PayPal is required to secure your reservation. The property will contact you after you book to provide instructions. Please inform Crystal Palace Apartment of your expected arrival time in advance. You can use the Special Requests box when booking, or contact the property directly using the contact details in your confirmation. Bathroom small & awkward to use. Needs renovation. 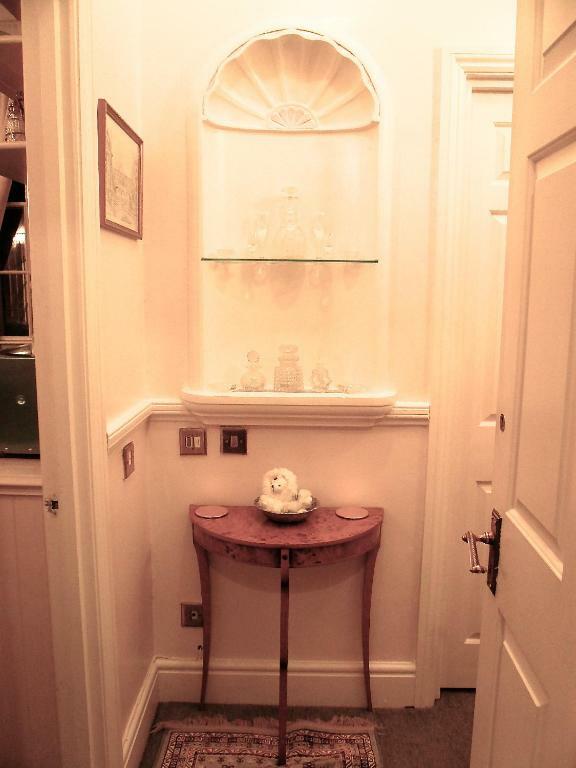 Decoration throughout fussy & taking up too much room in a small space. Sofa old and saggy. Gate-leg table meant it was difficult to sit at for a meal. Bed comfortable. 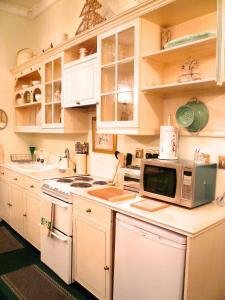 Kitchen well appointed & functioned properly. The address in google was difficult to find. Would be easier to state “go to Abbey Green and look for door that says Abbey House”. It’s a tad confusing when the Crystal Palace pub is next door. Location was great and central to Bath. Cobwebs on ceiling. Dirty kitchen Rubbish bin. Needs a deep clean and a lick of paint. Parking situation was terrible. We first had to park, then walk to the house, get a parking ticket for locals from the landlord (which was great to have and without it it would have been very expensive to park). Then walk back to the car and we had to drive several rounds through the town to park somewhere. Although our landlord explained where parking locations were, they were partially quite long distance away. I learned my lesson and will never book again a center location that has no own parking lot. In the morning we had to walk to the car, get the parking ticket and bring it back to the apartment. The farther away your car, the more additional effort. The bathroom was old and we did not dare to take a shower given its look. Everything was clean, but just old and creaks everywhere. In addition it seemed that the water pipes of the other apartments went through our bedroom of apartment #1 which is on ground floor. In the morning the water was sloshing through the pipes and we woke up given the noise. Only the fact that our stay ended. 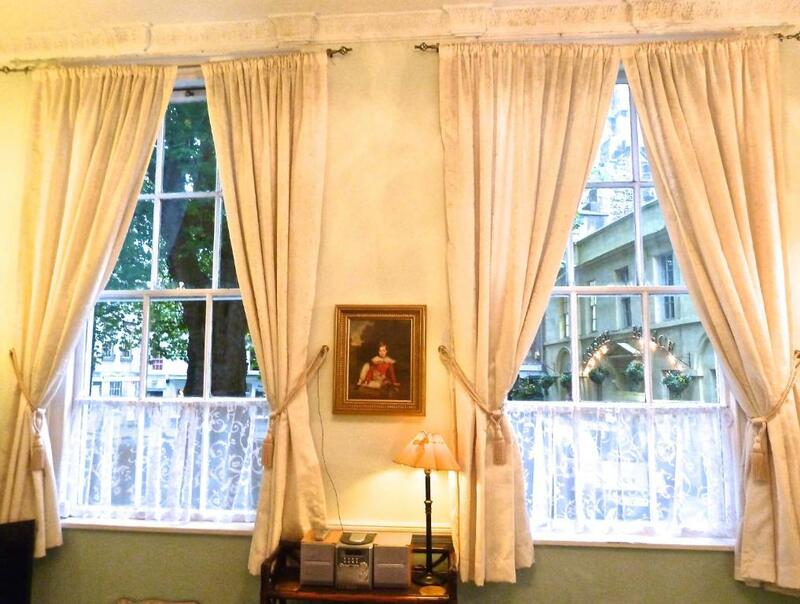 We like everything about staying at the Crystal Palace apartment 😊 Perfect location, homely feel to apartment & to be able to watch the world go by just by looking out of the fabulous windows whilst enjoying a hot beverage in comfortable surroundings. Central location. Comfortable bed. Kind host.